A variety of party-starting performers are bringing their talents to FringeA-Thon, an epic, outdoor dance marathon and fundraiser for FringeArts –Philadelphia’s premiere contemporary performance presenter. With different dancers, DJs, performers, trainers, musicians, and more featured hourly, there’s never a dull moment at this outrageous, 12-hour party. It all goes down at the Piazza at Schmidt’s Commons on June 16th. Tickets are $35 for adults, free for children under 12 and can be purchased at fringeathon.com. · NOON – Kick-Off: The day starts off with a bang with an appearance by the Phillie Phanatic and a warm up led by our hosts, everyone’s favorite Bearded Lady and the mad genius behind Get Pegged Cabaret John Jarboe and Virgil Gadson of So You Think You Can Dance and Broadway’s After Midnight. · 1PM – From Ballet to Bollywood: Watch and learn from BalletX performers, and then join us for aBollywood dance class with Philly Dance Fitness. · 2PM – Kid Dance Battles: Get ready for Kid Dance Battles (2-4PM) with a performance by Dance Battle Master Steve Believe’s kid dancers, Hip Hop Fundamentals. · 3PM – Beach Party: Philadelphia Spin Coalition breaks out the hula hoops! Jump into a Caribbean Hip Hop Lesson with Mel Cotton and feel those summer vibes! · 4PM – Twist Her or Dip Her: Play Twister with John Jarboe, learn how to partner dance, and make sure you’re keeping up with Virgil Gadson’s “Move of the Hour”, so you can learn the FringeA-Thon dance by the end of the day. · 5PM – Happy Hour: Get moving to live music from West Philadelphia Orchestra, a European folk band with a jazzy heritage. · 6PM – Half Time: Performances by the Super Bowl Champion, Philadelphia Eagles’ Drumline,Philly Phresh, a hip hop crew aged 7-17, and Old City Sweethearts, dancing to live jazz music. · 7PM – Diva Hour: The Roxborough YMCA Senior Sixers will bring their all, fresh from the basketball court. Then, take the stage with your own FringeA-Thon team for the Diva Dance Battle! · 8PM – 80’s Prom: Get ready to slow dance, moonwalk, and cabbage patch while you wait to find out who gets crowned Prom King and Queen. 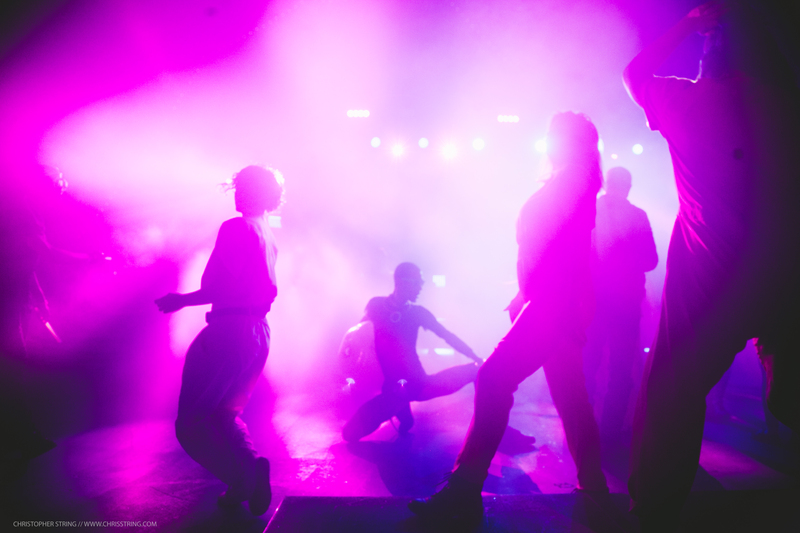 · 9PM-11PM ­– FringeA-Thon Late Night: Dance the night away to beats by Cosmo Baker with performances by Virgil Gadson and G. Brunot, street hip hop crew Gungle Brothers, and voguers Xcel Dance Crew! · Midnight – The Final Countdown: Join us for the last few moments of fabulousness, and revel in the memories of a day spent learning, exploring, playing, moving, and of course, dancing. As if all that excitement wasn’t enough, there will be plenty of games and giveaways as well as food and beverages on site to help you keep moving all day. FringeA-Thon is more than just an enormous party. It’s a fundraiser that celebrates artistic expression and facilitates grassroots support for the arts. When you buy a ticket, or start a fundraising team, every penny earned goes towards supporting FringeArts in its ongoing efforts to bring world-class performance art to Philadelphia. For over 20 years, FringeArts has served as a catalyst for cultural and community development and can continue to do so with your help. Promotional happy hours are taking place throughout the city in the weeks leading up to the main event. Keep an eye on FringeA-Thon’s social media pages for details. For tickets, team registrations, and general information, head to FringeAThon.com.